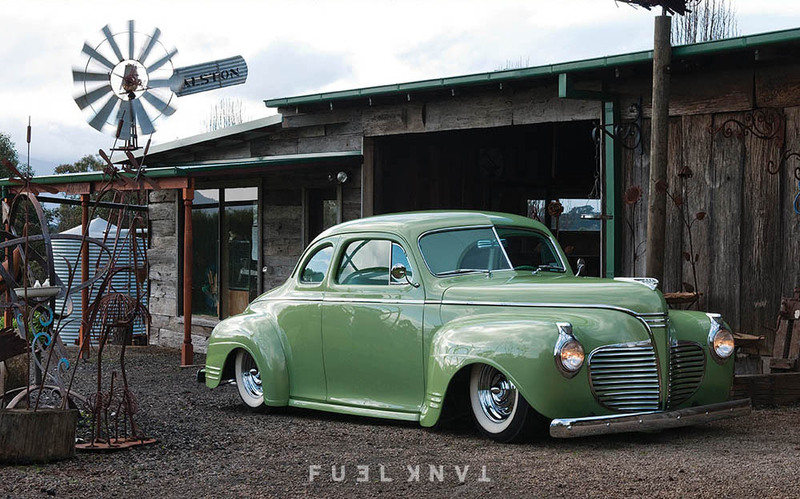 This 1941 Plymouth Business Coupe is a car that you could say is out of character for Anthony ‘Arny’ Beimers. A highly skilled craftsman, Arny takes a difficult project on, jumps in feet first, and emerges at the other end with a concours nut & bolt restoration. So, to acquire a finished custom ‘as is’ and not touch it is a somewhat unusual move. The car was first built from 2004-2005, and was an award winner at the Grand National Roadster Show in 2006. It now sits in Arny’s garage, awaiting a small transplant. “Currently I have a 354 HEMI built for the car and will fit it once I get through the other projects I have on the go” says Arny. That is most certainly something to look forward to. Then again, so are all the other projects lurking in the shed, deep in the Victorian landscape. Chassis: Stepped with mini tubs .